Basket Raffle is a Huge Success! A local Omaha family was in need of some assistance to make Christmas special for their growing family. A family of 10 was no problem for the WLN Omaha Chapter. 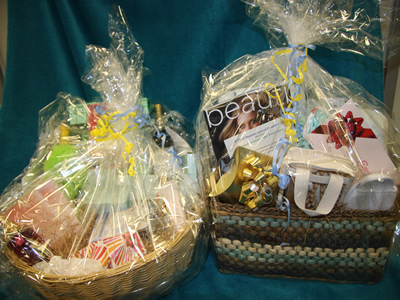 The Chapter built theme baskets and sold raffle tickets. Employees excitedly bought tickets not only to support the family but in hopes of winning one of the spectacular baskets that the WLN put together. The fund raiser was a huge success and over $2,000 was raised!! The money was used to purchase gifts for each family member, and to provide gift cards for food and other household necessities. In addition to the monetary donations IPG employees pitched in and contributed car seats, cribs, etc. When the mother’s sister picked up all the items she was overwhelmed by IPG’s generosity. Thanks to the Omaha office for opening their hearts and wallets in supporting the WLN in this endeavor! !